Nearist has recently benchmarked exhaustive (or “brute force”) k-NN search on a dataset of 1 billion image descriptors (the deep1b dataset). 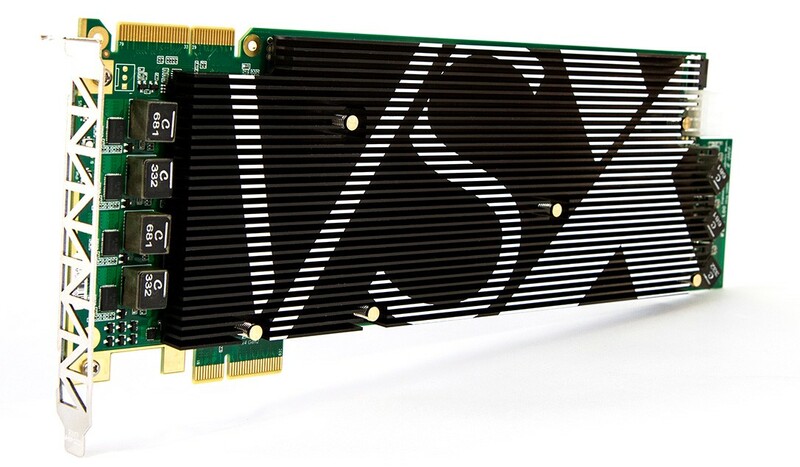 A single server containing Nearist’s Vector Search Accelerator (VSX) cards was able to find the 100 nearest neighbors to a query vector in 698ms. To put this search task into perspective, it would require 21 Tesla K80 GPUs (each of which has 24GB of RAM) in order to store and search these 1 billion descriptors. We at Nearist believe that the ability to easily perform exact, rather than approximate, nearest neighbor search at this scale has important implications for businesses with large search tasks. Similarity Search, or the more technical name “k-Nearest Neighbor Search”, is used in many industry applications. k-NN allows for comparing content based on its abstract qualities instead of just structured meta data. This is accomplished using machine learning techniques which create vector representations of the content, which can then be compared using a simple distance metric like the Euclidean distance. As the amount of content managed by companies continues to grow, many of these similarity search applications require searching through tens to hundreds of millions of items. Examples include searching through 4.5 million listings at Airbnb, comparing 126M unique search queries to 43M unique advertisements at Yahoo, or searching billions of images at Facebook. This is valuable time that the ML team could be spending on higher-value tasks, but ANN search is generally perceived as the only feasible solution. Changes to the dataset cannot be made as frequently because the index may take hours to rebuild. (3) Approximation techniques sacrifice accuracy. Improved accuracy in ad targeting can measurably improve click through rate. Improved accuracy in product recommendation can measurably increase conversion rates. Improved content recommendations can measurably improve user retention. Advances in GPU technology, as well as the release of Nearist’s own hardware and VSX cloud service, are enabling exact k-NN search at a much larger scale than has previously been feasible. If your team is building a feature requiring k-NN search, consider whether the opportunity cost, indexing time, and lost accuracy of an ANN technique might outweigh the cost of a simpler, hardware-accelerated, exact search solution. Thanks for reading! We’d really appreciate it if you recommend this post (by clicking the ❤ button) so other people can find it. P.S. If you enjoyed this article, please consider checking out Nearist.ai, or let’s talk to discuss how can we help accelerate your machine learning efforts.